In the past, I’ve wanted to use a really soft, buttery recipe for my sugar cookies. Mostly for my son, because it was easier for him as a very young child to eat them. 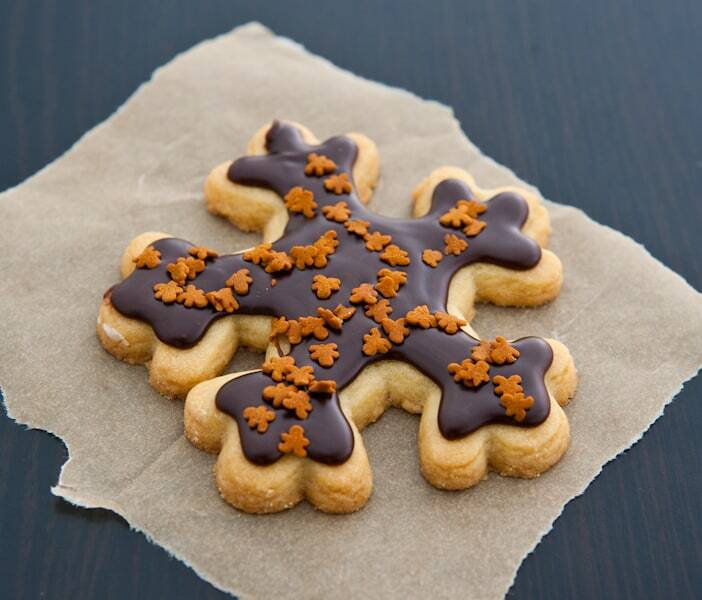 But now he’s all about perfection, making our cookies look as perfect as possible. So now, I’ve got a sugar cookie recipe that won’t spread, won’t distort and will barely rise. Your cookies will look as beautiful as when you cut them out with your intricate cookie cutter, AND they will still taste good and won’t be hard as a brick. These were the cookies we made for last Christmas, and the recipe I’ll be using this year too. It’s really simple, and tastes amazing. I added orange zest to this recipe, and told my son that Santa would know he was in Florida from the orange flavored sugar cookies. The cookies shown at top, with the chocolate frosting were just amazing with the orange flavor in the cookie. For the white and colored frostings, I used amaretto coffee creamer and powdered sugar on vanilla cookies, so good. You can combine whatever coffee creamer you have on hand with powdered sugar for amazing sugar cookie frosting. Heat oven to 350°. Combine shortening and sugar in stand mixer. Mix on medium until well combined. Add egg and mix well. Add flour, salt, vanilla and orange zest. Mix until just combined. Form cookie dough into a ball and refrigerate until very firm, about 1 hour. Roll out cookie dough to 1/4 - 1-2 inch. I used leftover 3/8-inch tile as a guide for my roller. 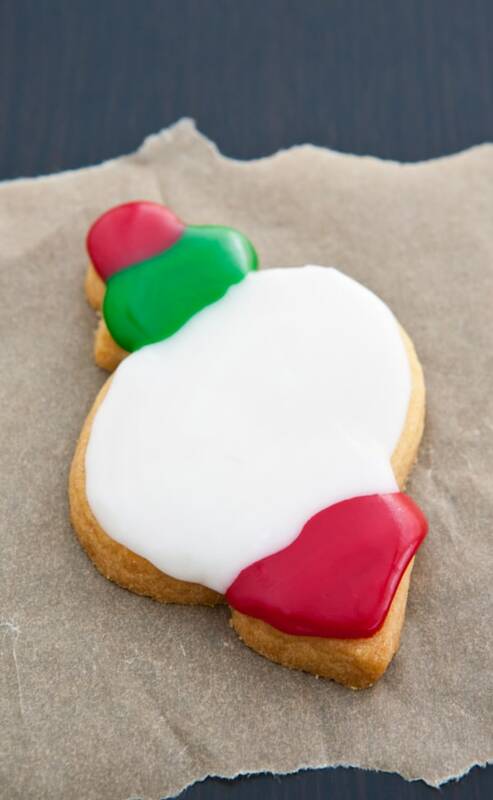 Cut out cookies with cookie cutters and place on parchment paper lined cookie sheets. Bake at 350° for 10 - 15 minutes, or until lightly browned around the edges.